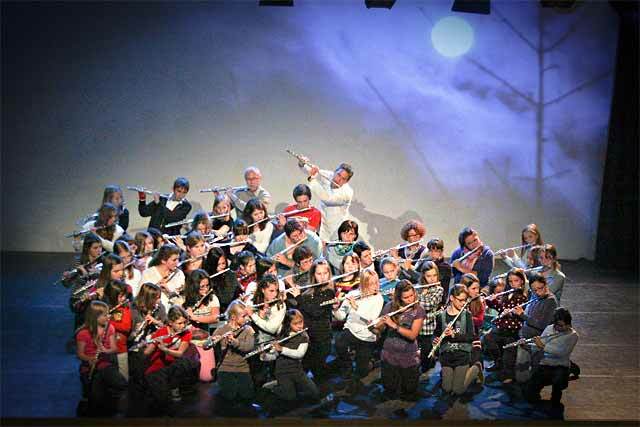 Dutch flutist-composer Wil Offermans has presented his Flute Day project at music institutions for smaller or larger groups of flute students of any level. Such a Flute Day sometimes was organized to celebrate the end of the year, however also could take place during the season. Each Flute Day had its own 'personalized' schedule and contents. 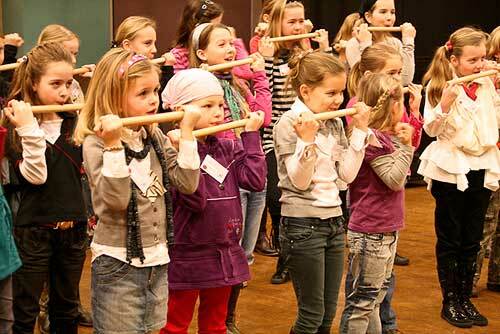 Wil Offermans developed his personal approach concerning the Flute Day based on enjoyment, creativity and group action. With the involvement of e.g. ensemble playing, graphic notation and improvisation, his Thumpy flute, contemporary techniques, he invites and attracts the "young" flutist for a more flexible attitude towards the flute playing and music in general. 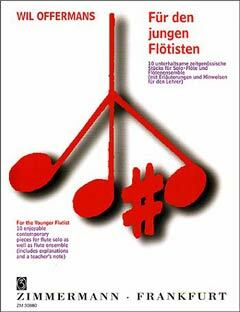 Go here to download a Flute Day PDF-brochure. 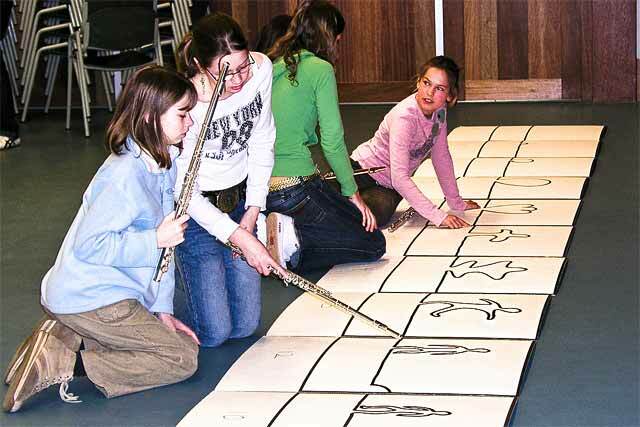 Workshop game pieces: with smaller groups working on some game-pieces from the book For the Younger Flutist. Thumpy the thumb flute: a most simple and enjoyable flute developed by Wil Offermans. Ensemble piece: like Offermans' composition Jungle Dance (ZM31430) for bottles and flutes, or Bamburia. 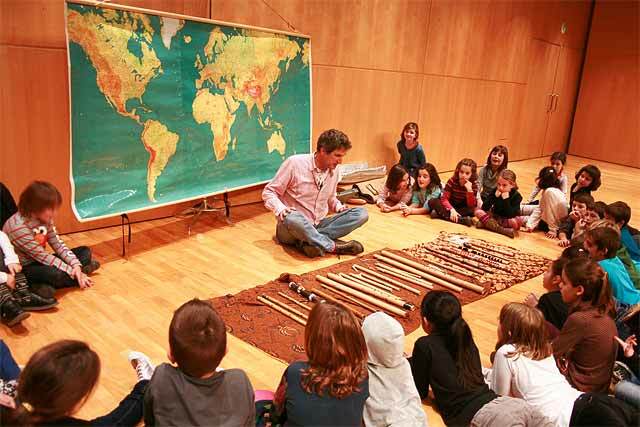 The flute story "With the Flute around the World": inspired by his world traveling, Wil Offermans talks about and presents a collection of flutes from various parts of the world. 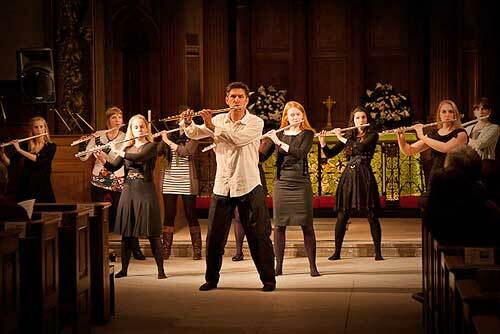 Also the participators can enjoy playing these flutes. 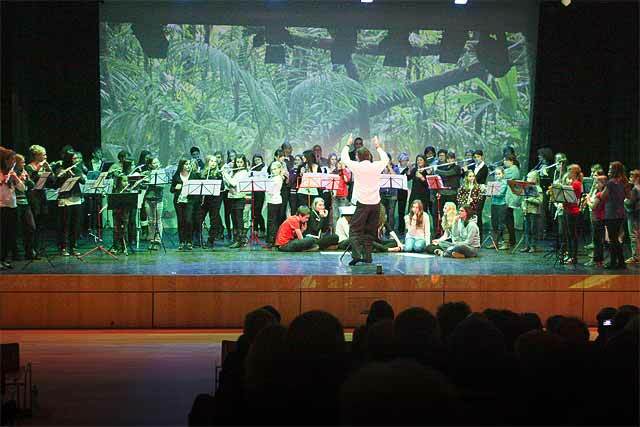 Presentation concert: with all participators for especially friends and others. 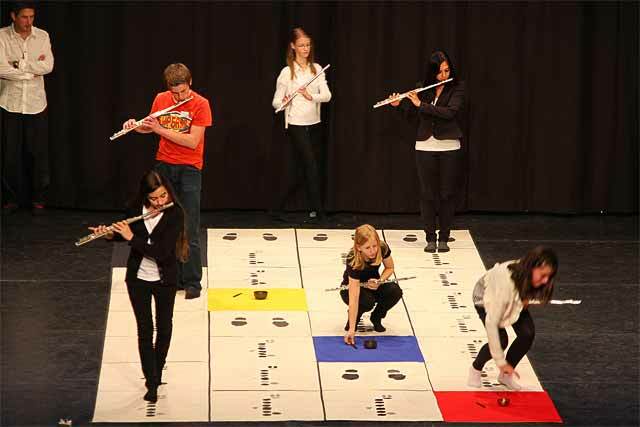 In the workshops of a Flute Day Offermans works with his game pieces from the book For the Younger Flutist. 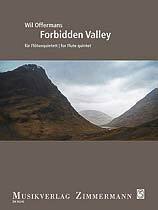 Here below, you find a short description on the ten pieces of this book. 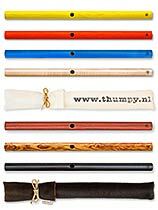 Thumpy the thumb flute is a relatively simple instrument with a surprisingly beautiful and natural sound. This new flute has been designed and developed by Wil Offermans. In his Flute Day - whenever possible - Offermans provides sufficient Thumpy flutes for all to play instantly with larger groups and to create some most enjoyable performance. An ensemble piece will be studied during the day, at first in small groups (during the morning workshops) and later in a general rehearsal. It will be performed as the finale of the presentation concert. It is recommended that the students have received, and if possible glimpsed over, the scores in advance. 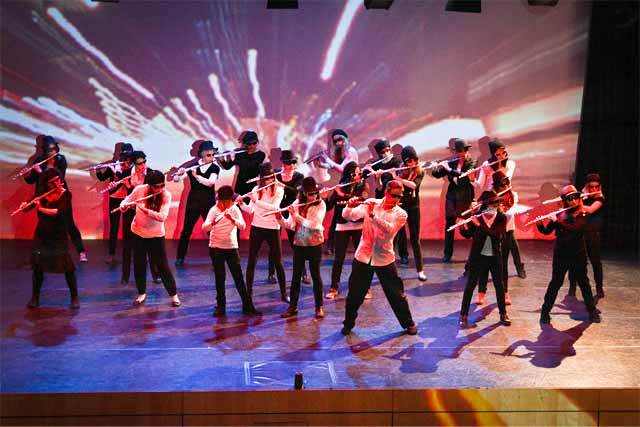 The most frequently performed ensemble piece on the Flute Day is Jungle Dance. This enjoyable ensemble piece has 10 part scores of various levels and is very suitable for any large amount of flutists. The melody and chords are performed by flutes, including - if available - alto and bass flutes. The 'rhythm section' consists of various non-tuned bottles and a bird whistle. 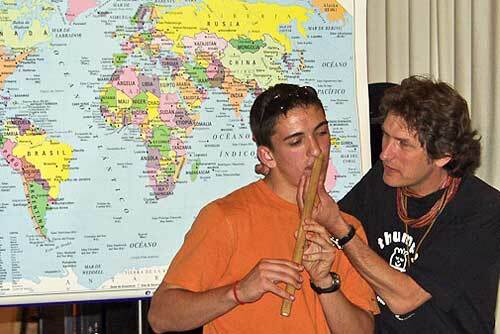 One or more advanced students can perform the flute solo. 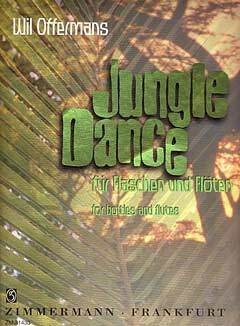 Jungle Dance has been published by Musikverlag Zimmermann, Frankfurt and can be heard on the CD The Magic Flute. A new piece is Bamburia, which is structured around the fascinating spanish flamenco rhythm of the buleria. The piece has 7 part scores. 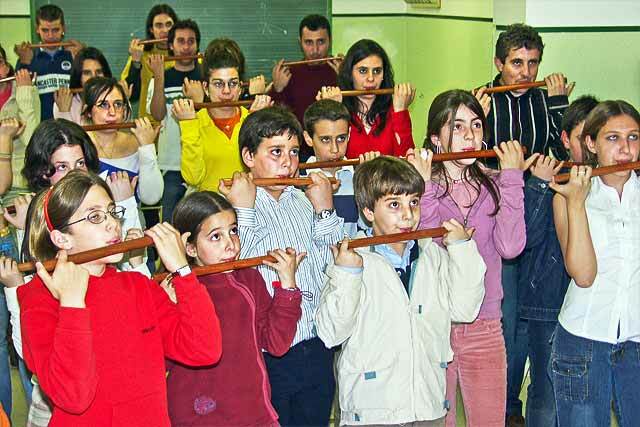 Most remarkable is the middle part where the flutists put their flute aside and perform the buleria-rhythm by clapping the hands ('Palmas' in spanish) accompanying an exciting flute solo. Bamburia can be heard on the CD Luna y Sierra. 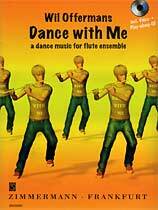 Additionally, there is the possibility to play Dance with Me. This piece is a dance music for any size of flute ensemble, where the players not only play the flute, but also perform some synchronized dance movements along to the CD-accompaniment. This is a really exciting piece as can be seen on many YouTube videos. Since the music and the movements are performed by heart, it should be studied beforehand. Here the instruction video on YouTube (also included on the DVD with the score) will be of great help for the students. 4. The Flute Story "With the Flute around the World"
With the Flute around the World is a flute story and demonstration by Wil Offermans, in which various flutes from around the globe – mostly bamboo flutes including the suling, nay, klui, shakuhachi, di-zi, kena – are being introduced. With a large world map in the background and referring to his travels, he speaks about the different cultures he could visit. 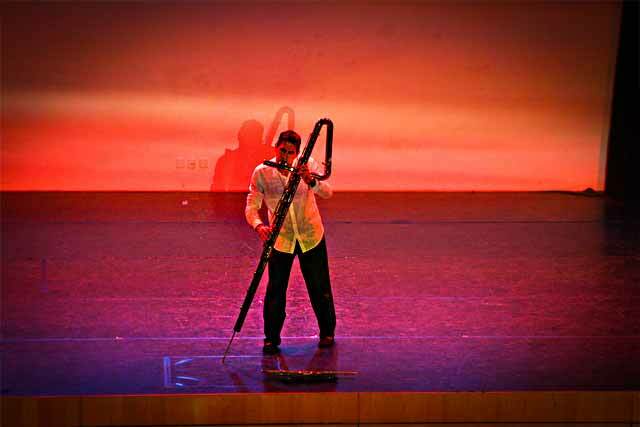 Also, the audience can try some of these exotic instruments for themselves. The story is usually appreciated by the students with great enthusiasm. 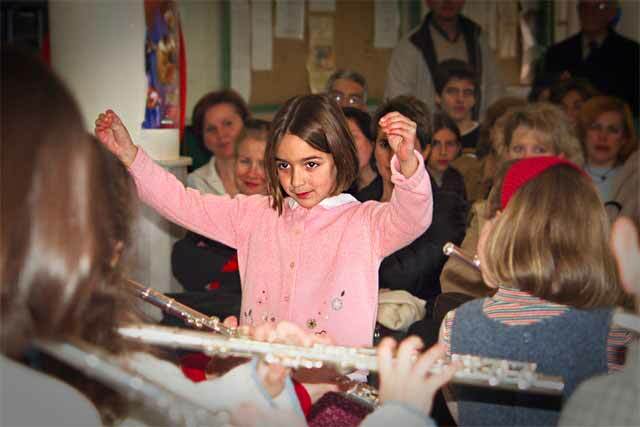 A Flute Day usually ends with a presentation concert for friends, parents and others. Here the various groups present the game-piece, which they studied in the workshop. Also Wil Offermans performs a flute solo, possibly on his contrabass-flute. The presentation ends with the tutti piece e.g. Jungle Dance. Below you can find five schedule proposal plans. Plan 1 is the standard schedule for a Flute Day. 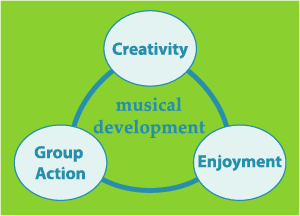 Other alternative plans below include two parallel workshops, an additional workshop for advanced flutists or a Flute Ensemble Day (click the buttons to see more detail). Obviously, any of these schedules can be adapted to any special request, extended to more days, specific time, etc. in cooperation with the organizing institution. You can print each plan by clicking the printer icon below it. 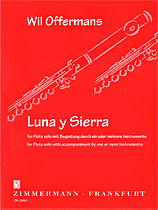 Click an image below to download the leaflet of the Flute Day PDF Adobe Acrobat format in the language you prefer. Concerning more practical details, possible questions or more information please have a look at the Frequently Asked Question page. Also, feel free to ask your questions using the Contact Form.